*If you would prefer to make ‘savoury smiles’ use red pesto instead of jam and black olives (cut into pieces) instead of raisins. Print sufficient textboxes for one per child. 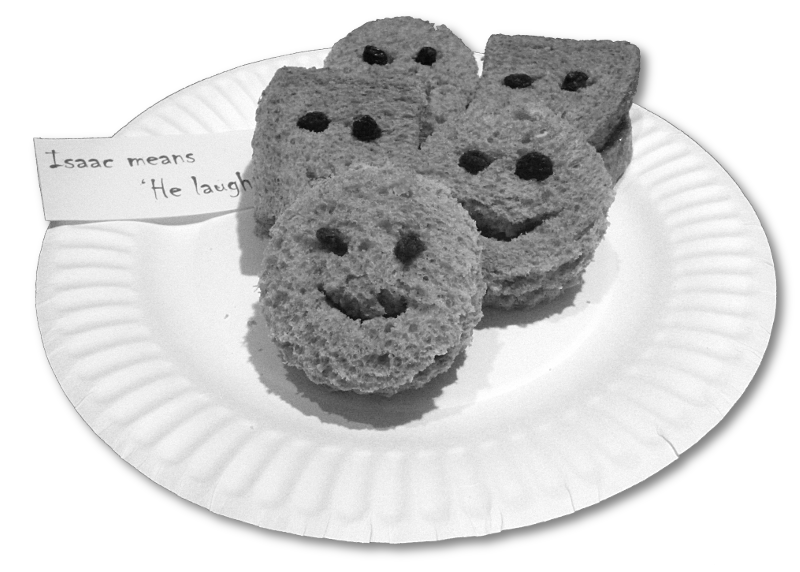 Make a ‘sweet smile’ so the children know what they are making. 1. Wash your hands and make sure the surfaces in your area are clean. You will need two paper plates. Take one slice of bread and place it on one of your plates. Use the cutter to cut two circles of bread. If you are not using the cutter cut your slice into quarters using a dinner knife. 2. On one circle/quarter spread some jam. On the other use the dinner knife to cut a slit for the mouth and make two holes for the eyes. 3. With your finger make the mouth-hole slightly bigger shaping it into a mouth-shape. Place the second circle/quarter on top of the first. Press a raisin into each eye-hole. 4. 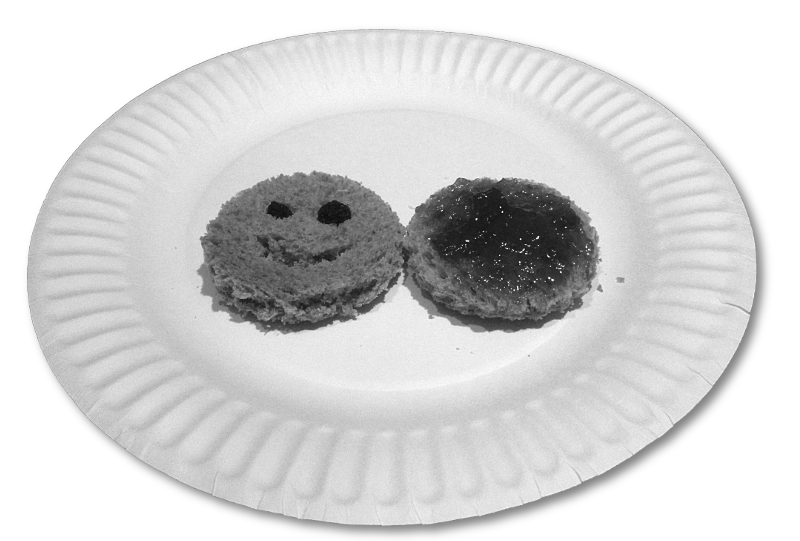 Place your completed ‘sweet smiles’ on a plate. Tuck the textboxes around the faces to show why you made them today. Offer the ‘sweet smiles’ to the adults after your session.